Up at 6:00, breakfast, pack, watch hosts leave on their annual trip to Yellowstone. I’m in charge of the campground. It is a short ride to the Beartooth Scenic Highway, Highway 212, the road Charles Kuralt called the midst beautiful road in America. On the first climb is a fire tower lookout the hosts told me was recently out on the National Historic Register and is open to the public. I turned up the steep gravel road, and coaxed my loaded rig to the top only to find the open hours start at 10:00. 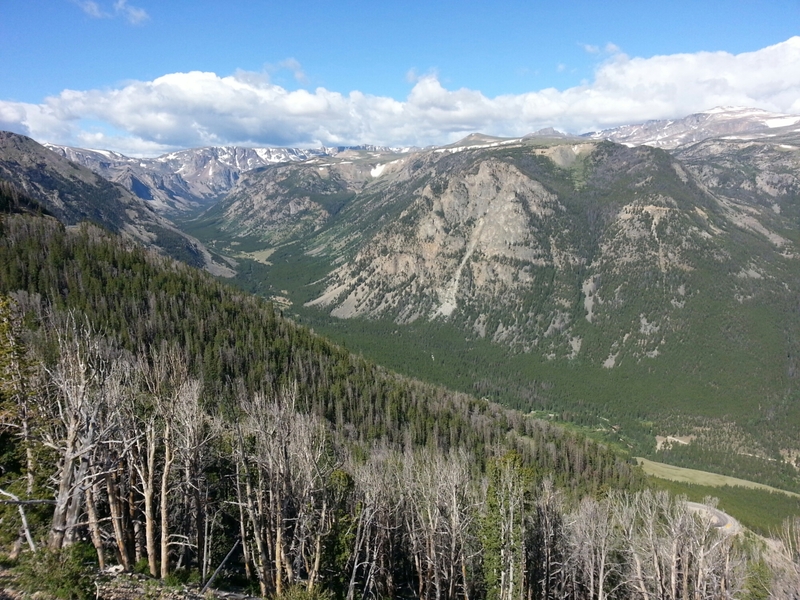 Oh well, the view was great back to the Beartooth range. I took a short video panorama, no photo from the phone. A slow dance back down the gravel road and upwards. I thought I had passed the summit and was tempted to ride backwards to savor the feeling but continued on. I couldn’t have been more wrong, the road climbs to over 10,000 feet past some lakes, across the treeless plateau at the top, then starts back down through huge gaping valleys. I agree with Chuck. Well worth the two hours it took. Lunch at a Subway in Red Lodge, listening to a guy chatting about 100 clip loads for his AR and how California is trying to take away our Constitutional rights. This is not a blue state. Looking at the time and where I need to be tonight, I knew I had to put some miles in. Unfortunately, the only way to do that is Interstate 90 and there is another strong crosswind. Worse, 90 is 80mph. I couldn’t hold my lane with the wind and didn’t feel comfortable riding over 70 with my big rig, so I tried to ride the frontage roads and let the Garmin lead me. After a five mile gravel road adventure, I went old school and followed the map. needless to say, Montana is huge. 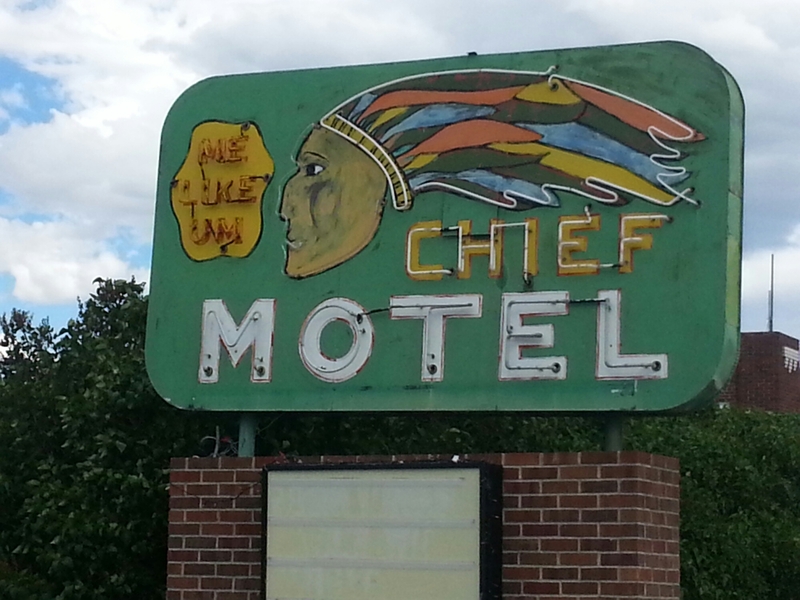 But, I did manage to find some nice riding off of the interstate and got to see some small towns up close. 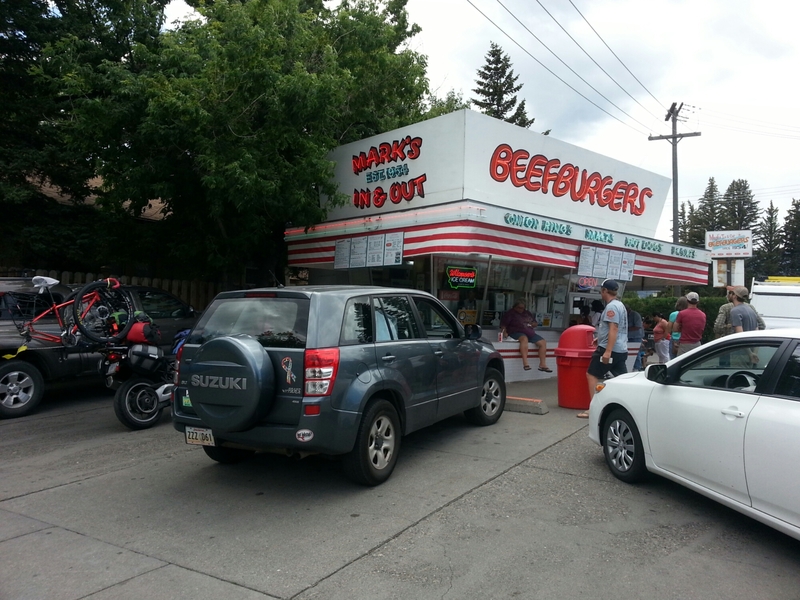 Late lunch at a great burger shack where a cheeseburger is $1.89. bicycle and ride to Glacier. Jim is on the train and should arrive late tomorrow night. We’ll see if the plan comes together. A week on the scooter, then a week-plus on the bike. Everything changes tomorrow.